Serving the Democratic communities in Tustin, and working to bring progressive change to Orange County. Tustin Dems are marching tomorrow! Come be part of it! 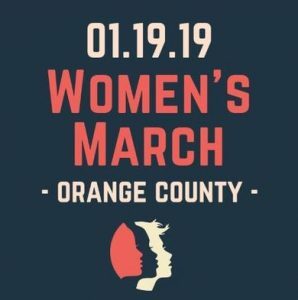 At the OC Women’s March this year, we want to emphasize and celebrate our pride in all we have accomplished together. Don’t miss out – it’s more important than ever to make our voices heard and make our numbers seen! Looking For Us At The March? 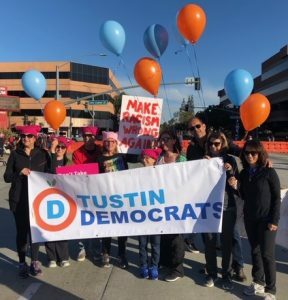 Look for the Tustin Dems group at the front of the March where the banner holders are – look for the blue and orange balloons! We will carpool over, march and return to Rutabegorz after the march to celebrate another great event! Click here, introduce yourself and find out more about Tustin Democratic Club.